Born in Ackerman, Choctaw County, Mississippi on March 22,1889, it was not until seven years later that his family moved to Carroll County, where he remained until he died on March 24, 1961, at age 72. He was survived by his wife, his sons, Coleman and Charles, and daughter, Hazel. Willie Narmour was one of the most influential early fiddlers from Mississippi, widely known for “Carroll County Blues” and his collaboration with guitarist Shell Smith. 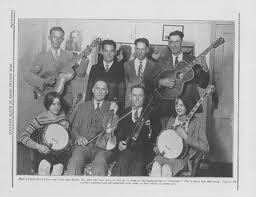 They played and recorded together from 1928 to 1934. Narmour and Smith remained rooted in their community and seem to have traveled little other than the recording trips to Memphis in 1928, New York in 1929, Atlanta 1929 and 1934, and San Antonio Texas in 1930. Willie first learned to play on a cigar box fiddle that his father, John Narmour, made for him. Willie came from a musical family: his father also played fiddle, and his father’s brother, Henry, played fiddle, bass fiddle, beat straws, and clogged. Henry’s wife, Jimmie, sang. Willie is best known as a fiddler but he also played guitar (as on the recording of “Rose Waltz” which he played in the same style as Shellie Smith). He did not read music and had little formal education. In an area where men tended to be taciturn, his personality was described as being as engaging as his music. He played music, drove a school bus, farmed, and ran an auto mechanic garage to support his family. He loved to hunt. Though not religious, Willie did occasionally attend the Pisgah church, which was very close to his home in Valley. He continued to play in public after his recording career ended in 1934, although not with Shell Smith. One site was the Alice Cafe in Greenwood, where he was known to play for admirers possibly as late as the 1950’s. 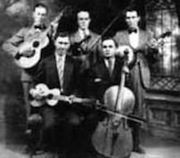 He had other accompanists at earlier dates also, Lonnie Ellis of the Mississippi Possum Hunters recalls seeing Willie at the 1929 or 1930 Fiddlers contest in Kosciuskio with another guitarist. 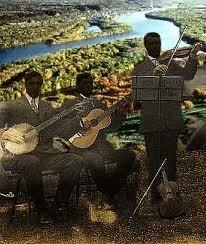 This is the first in a weekly series of mp3 posts of southern waltzes from the 1920’s and 1930’s. The series will highlight the great waltzes, waltz fiddlers, and waltz bands. The cumulative collection will also remain accessible, as it builds, under “PAGES” in the upper right corner of this blog.